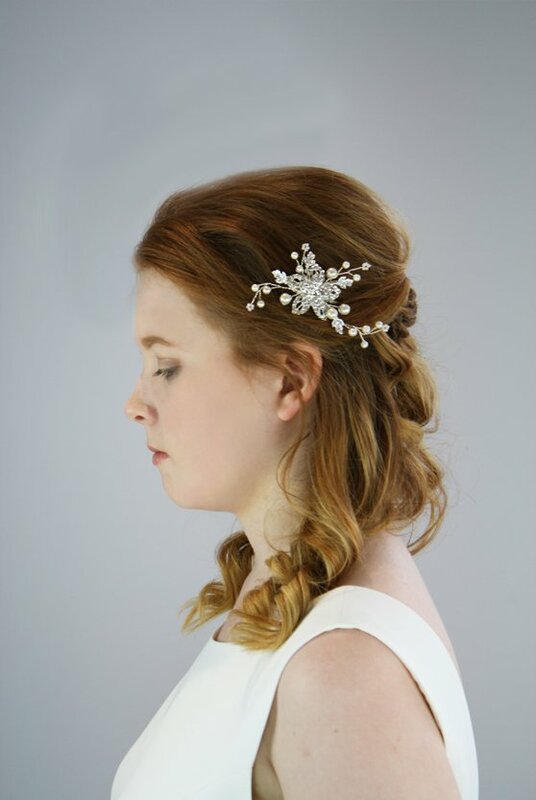 Wedding planning involves so many details to be meticulously planned, including ‘What am I going to wear in my hair?’ It’s an important question that can only be answered once you know what style your hair will be. Book in a trial with your hairdresser to try out a couple of looks and then the fun bit can start – styling with accessories! 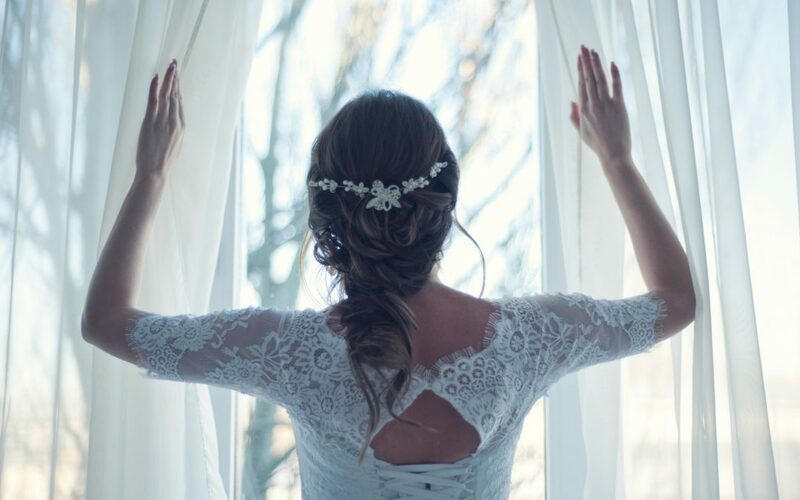 A veil is the most common way to style your wedding hair. 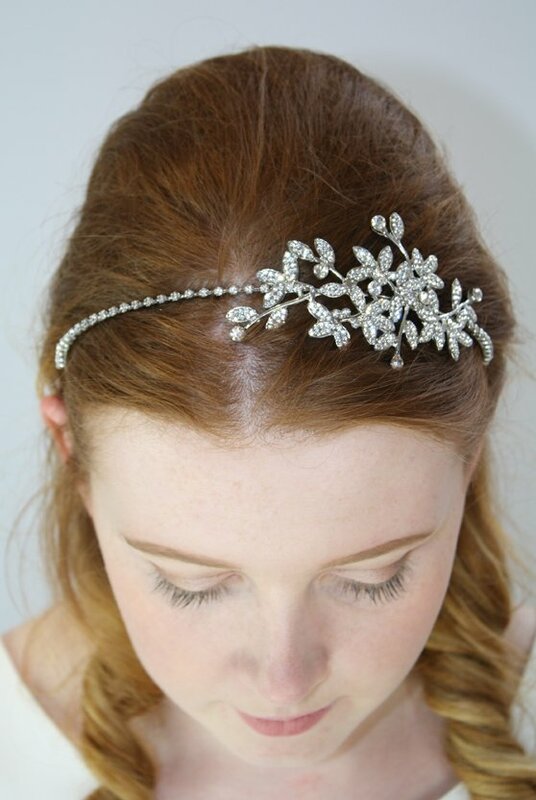 They go with most hair do’s and they are the ultimate bridal statement piece. There are a few styles to choose from and we have some gorgeous ones here at Copplestones. To add a bit more elegance to your veil try adding a comb. They easily slide in next to your veil comb and will help complete the outfit. Try Pearl, Jasmine, or Betsy for inspiration. If you aren’t having a veil then combs on their own are a great way to accessorise. The majority of the wedding hair combs are the same length, around 3 inches. In a variety of styles from super sparkly like Kohar, to floral metallic ones like Petit Fleur. Our personal favourite is Bijou Fleur. Combs are super versatile, and can be worn on the side, with a bun, or on the top of that ‘half-up half-down’ look. 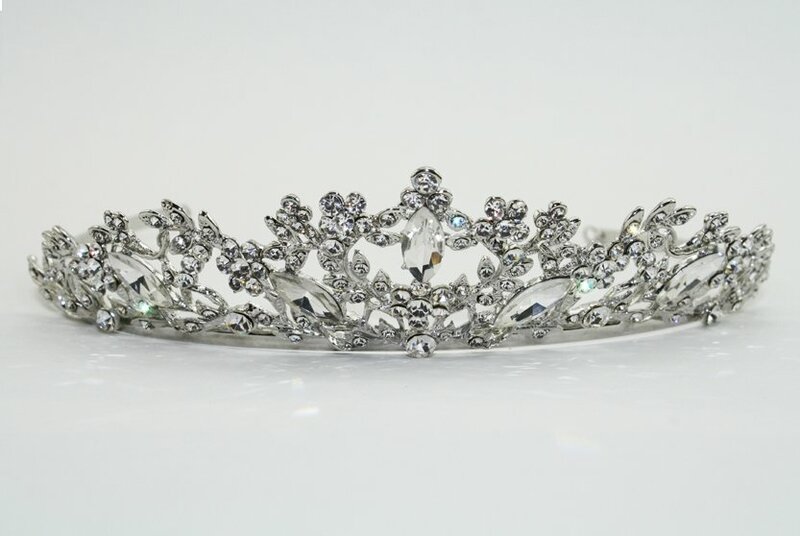 The great thing about tiaras is that they give that polished look. As you move through the wedding crowds you will sparkle and all eyes will be on you. For a more subtle approach then try a hair vine or hair pins. They are so versatile the possibilities are endless. 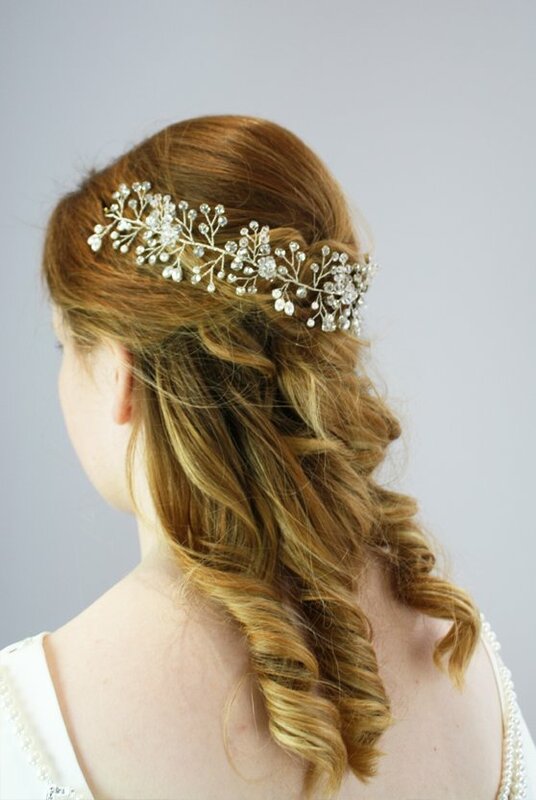 That extra touch of sparkle will give the bridal look you deserve and the hair vine will convey the Bo-Ho look thats so in vogue. For more information on how to achieve the Bo-Ho look then you might want to take a peek at our other blog on wedding styles here.